Today we will be looking at the top 5 defenders to keep our eyes on during this World Cup in Brazil. This list is not in any necessary order, i am not looking at ranking the players, but rather narrow down what i expect will be the top 5 defenders of this tournament. After a disappointing season with Dortmund, where he lost the league title and German Cup to Bayern Munich, Hummels will be looking at this World Cup as a way to salvage a season and perhaps bring home some silverware. One of the best defenders in the modern game, Hummels will be key for the success of Germany, and in my opinion one of the top defenders of the tournament, if he can stay healthy. After an incredible season with SL Benfica where he won 3 domestic titles, including league title, and a second consecutive presence in the Europa League final, nothing would be more suiting for Garay but to win the World Cup and showcase his way into one of Europe's elite clubs. His club performances this season haven't gone unnoticed. Manchester United, Zenit, Inter Milan, Bayern Munich & Napoli are some of the clubs currently calling his agent and seeing what would it take to sign him before the tournament starts. Everyone is expecting him to have a solid tournament which would bring his price up higher than the already 20 million asked by Benfica to agree to a transfer. After a season that saw him miss games at Manchester City due to injury this summers tournament needs to be his. After an up and down season and the happiness of winning the Premiere League for the 2nd time in 3 years, a healthy Kompany should be a force to be dealt with. 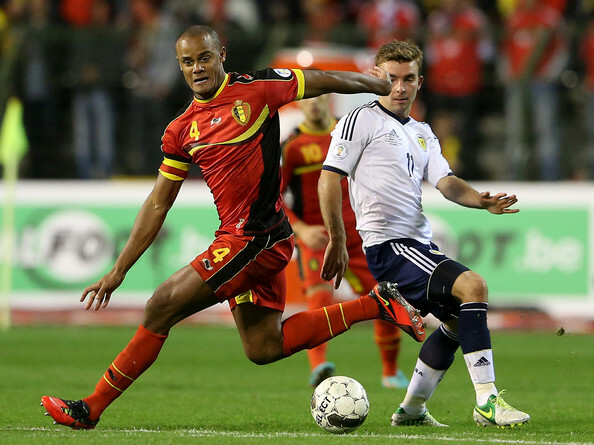 Him and Courtois are the backbone of Blegium, and much of how he plays will determine how far Belgium will go. I expect a great tournament from one of the best central defenders in Europe. If there is one thing that Sergio Ramos knows how to do is win. He has won it all. In a Spanish team full of talented midfielders and forwards we sometimes forget the back line, and to me Ramos is one of the most versatile and under rated defenders in today's game. Coming from a strong and difficult season with Real, that saw him gain a scoring touch, Ramos should be the glue that holds this Spanish team together. He will be decisive in how Spain defends, but also on how they start their attacks. After winning another league title with Juventus, Chiellini will be the boss of the Italian defense this summer as they make a run to another World Cup title. Last tournament his health was an issue at the later stages, but a healthy and strong Chiellini will be a huge asset to his country as they have to be ready to possibly face very fast and strong attacking teams inside and outside the group stages, yes, because i don't think anyone is expecting Italy to not make it out of the group stage.